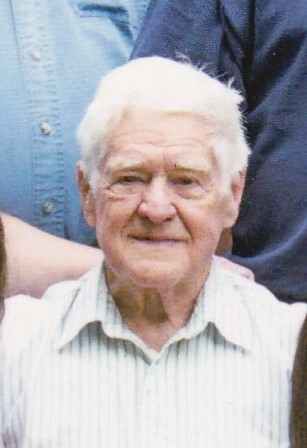 Topsham – John Leroy “Lee” Stiffler, 91, of Bridge Street, died Monday January 21, 2019 at his home. He was born in Shade Township, PA on November 6, 1927, the son of Charles and Beatrice Musselman Stiffler. He was raised in Pa and attended a two room schoolhouse in Cole Rain, PA.
On November 15, 1975 he married Marie J. Bisson. Marie passed away on December 13th, 1999. John worked hard on the family farm until he went into the Navy on September 14, 1945. He was a cook on the ship. He served during WWII, Korean and Vietnam wars retiring after 20 years. John worked at Health Tex and then BTI where he made sample cards retiring in the early 2000. John and Marie traveled to PA every July to visit with family and friends. They also traveled to CA, FL and IL. They enjoyed working with plastic canvas making lots of Christmas ornaments for family and friends. John had made “The Last Supper” from latch hook rug for which he spent countless hours on. He was most proud when the rug had been displayed in the church on Holy Thursday. John was a communicant of All Saints Parish and a member of the American Legion Post 202 where he was a past commander. He was one of the original founders of the American Legion, helping to build the post. John was predeceased by his wife Marie, his parents and brother, Tom and his sisters Anna Hall and Charlotte Hite. Also his granddaughters Rebecca Bisson and Ann Bisson Day. John is survived by his 3 step-children, Susan M Bisson, Ronald L Bisson, Russell J Bisson and his wife Amy L from Topsham; two granddaughters Theresa M and husband Todd Bayha from Rhode Island, Melinda S and husband Scott Vaughan from Saco. John also has 5 great grandchildren, Kaleb Day, Jackson and Madelynn Vaughan, Landon and Everett Bayha. Brother in law and his wife Chanel & Rita Coulombe. He is survived by his brothers Willard and George Stiffler and his sister Laura Alice Bloom all from PA and many nieces and nephews all over. Visiting hours will be held on Friday, February 1, 2019 from 4:00 – 7:00pm at Demers-Desmond Funeral Home, 34 Cushing St., Brunswick. A Mass of Christian Burial will be held on Saturday, February 2, 2019 at 11:00am at All Saints Parish, St. John the Baptist Catholic Church, Pleasant Street, Brunswick. There's still time to send flowers to the Burial at the St. John's Cemetery at 4:00 PM on June 8, 2019.